Fashion!, Food!, and Entertainment! made the first annual OPEN MARKET, a fundraiser hosted by Diane von Furstenberg and Andrew Rosen, the place to be on March 18, 2013! 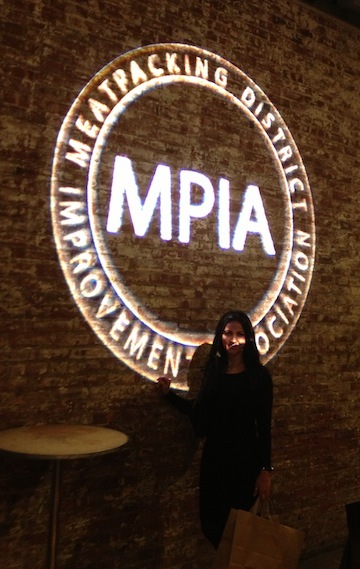 The fundraiser benefited the Meatpacking District Improvement Association, a non-profit business alliance that maintains the meatpacking district through a beautification program and protects the districts storied history. The event was held at the Highline Stages, where two floors were transformed into a designer shopping haven, featuring sample sales from designers like DVF, Theory, Helmut Lang, Trina Turk, Tory Burch, Alice + Olivia, Rag & Bone, and INTERMIX, as well as silent auction of items from various contributors. Gourmet foods were served by some of the best restaurants in the meatpacking district, such as the Spice Market, Pastis, Bagatelle, Catch, and Morimoto. Champagne and cocktails were courtesy of The Tippler. There was an abundance of culture, social networking, and celebrity presence at the first annual Open Market event. The Whitney Museum featured books and reproductions by contemporary artists and showcased their Blues for Smoke exhibit, as well as other exhibits currently on display at the museum. Beautiful, talented people filled the 2 floors of the Highline Stages with lots of energy, enthusiasm, and support for a good cause! Among them were artists, actors, designers, and business entrepreneurs. 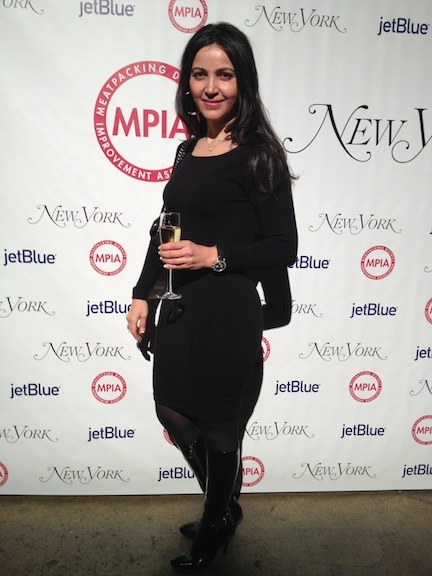 I had a wonderful time sampling the delicious gourmet delicacies, sipping champagne, and mingling. I walked away with a beautiful DVF dress and handbag, 2 pairs of cool havaianas, and an artsy pen by Japanese designer Yayoi Kusama. 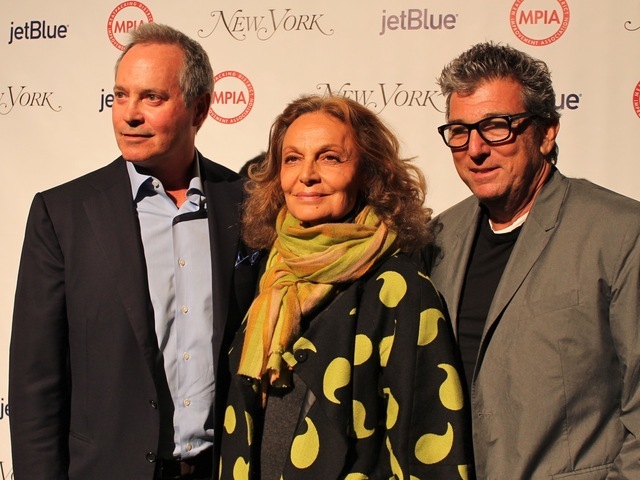 Congratulations to our hosts, Diane von Furstenberg and Andrew Rosen, for a wonderful and successful fundraising event, bringing fashion and community together for a great cause!